JEWELLERY CLEANING: Have your jewellery cleaned regularly. This can act as preventative maintenance. 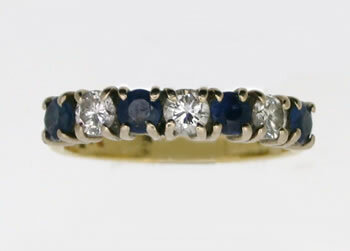 A jeweller can spot any worn or broken claws on a ring. Remember a ring is the most abused item of jewellery. Cleaning is relatively inexpensive compared to replacing a stone, and it is always nice to have your jewellery looking its best. REPAIRS: The idea of a good repair is that you shouldn’t see it. All rings, within reason, are made to be sized. How much they can be altered depends on the setting, the stones and the metal at the back of the shank. RESTRINGING: Necklaces should be re-strung approximately every 1-3 years depending how often they are worn. This is done either with silk thread which is either knotted or unknotted. Always put necklaces on last as perfumes and the atmosphere attacks the silk thread pearls they are normally strung with. ENGRAVING: There are three different types of engraving: Machine, hand & glass engraving. Machine engraving will usually follow a template, but limits the amount of choice of styles. Although, computers are gradually changing this facility. 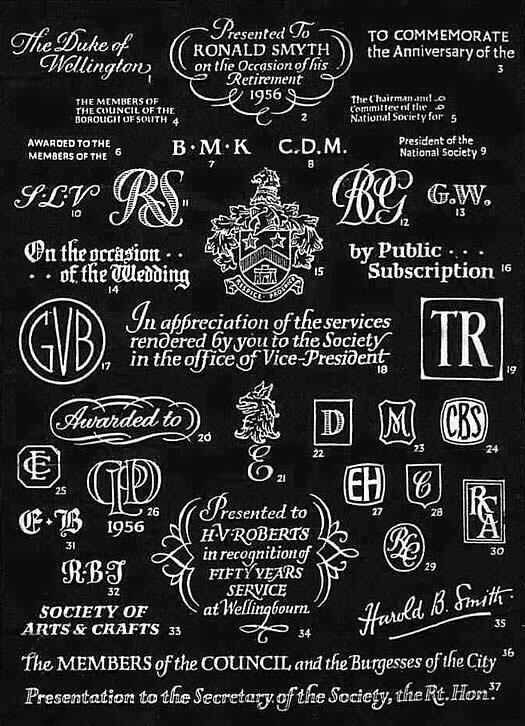 Seal engraving is more similar to carving as the design is usually deeper & in reverse so an impression could be left in clay or wax bearing the persons monogram/crest. WATCH & CLOCK SERVICE: Mechanical watch & clock movements are not unlike car engines and have to be serviced to prolong their life. A service involves stripping the movement, cleaning, repairing if necessary, reassembling, oiling and regulating. Watches & clocks should be serviced every 2 to 3 years even if they are not used as the oil dries up. Click here for more information on Watches. The price stated depends on the purpose of the valuation (Insurance, probate etc.) If you have insurance cover based on a valuation given to you some years ago, it would be prudent, because of the fluctuating cost of gemstones, gold and labour, to have it valued again. Otherwise if you were unlucky enough to lose your jewellery, have it stolen, or damaged, the money you received may not be sufficient to restore the loss. Click here for more information on valuations.